FROM the day ‘quhan Alysander our king wes dede' down to the day when the Chancellor Lord of Seafield laid down his pen and exclaimed, ‘And there’s an end o’ an auld sang,’ the varied thread of Scottish story is mainly the history of a nobility which blended or opposed its ambitions in an endless succession of intrigues and feuds of which even the open wars of the country with the ‘auld enemy,* England, were too often but the opportunity or the result. No country, it has been said, stands so little indebted to its nobles as does Scotland. The saying may be false or true according as we determine wherein lies Scotland's main achievement. I think it false. The pride of Scottish history does not He in the patient upbuilding of a great democracy or the solution of constitutional problems, but rather in the exploits of its heroes in War; and its achievement has been the making of a people rather than a nation. While it is true that the Scottish magnates never united to extort a Magna Charta from the Crown, it is on the other hand also true that Scotland never saw its nobles combined to oppress its commons, nor its commons arrayed in form of war against its nobles. In all the blood-welding of this northern people a Wat Tyler or Jack Cade, a peasant war or a Jacquerie was unknown and impossible. And if there is anything in national sentiment, the deeds of Bruce and Randolph at Bannockburn, and the devotion of the eleven earls who died round their king at Flodden—in brief the valiant part played by her nobles in all her wars, is a service they performed to their country for all time. The Comyns, Baliols, Bruces, Stuarts, the Black Douglases and the Red, the Grahams and pervading Setons, the Homes and the Gordons, the Boyds and the Hamiltons; Athol, Buchan and Crawford, Glencairn and Cassillis, Mar and Ruthven; the names of Angus, Arran, Huntly, Morton, Moray, Bothwell, Leslie, Lauderdale, Montrose, Argyle, and Claverhouse—these and the like are the tides of the chapters, sections, and subsections of the major part of Scottish history. The most of the beloved and the execrated of our romance as well as our history belong to these names. Whether the part they played was good or bad; whether tradition has dealt well with them or ill, belongs to the domain of public history, but their positions and circumstances, their family traditions, their territorial holdings, their alliances of blood and marriage, their very personal characteristics of mind and body, are of interest not only to their lineal descendants and the student of heredity, but, like the personal peculiarities of kings, are part of the solution of the problems of the general history of their country also. The most ancient, best authenticated, and in several respects most remarkable family history in Scotland is naturally that of its royal house. Its lineal descent and succession from the ancient Celtic dynasty—independent kings as far back as we can trace them, its successive infusions in early times of the best Saxon and Norman blood, its romantic and tragic fortunes, and its survival to the present day, render it unique among the royal lines of Europe. The new Scots Peerage in process of being issued does well to devote its opening pages to the line of the Scottish kings. The Scottish peerage shares in much of the antiquity of the Crown. There seems to be a great probability that some of the most ancient of our northern earldoms derive from the even more ancient Maormars by descent rather than by conquest. Evidence of the original character of these Celtic officers of the time of Malcolm Canmore or earlier is, no doubt, hard now to find. But it is known that they ruled over the ancient districts of Ross, Moray, Buchan, Mar, Mearns and Angus, and that some of them were latterly denominated earls, or were, in Malcolm’s time, succeeded by earls of the same territories. How far these first earls acknowledged themselves to hold their titles of land from the king of Scotland or any king is another question and as difficult. There are several references in the chronicles of the times before Bruce to ‘ seven earls.' As in the Holy Roman Empire there were Seven Electors Palatine who chose the Emperors, so, probably, the monkish chroniclers in Scotland thought that there should be, or must have been, a college of Seven Earls who elected the king. The absence of any allusion to such a body or system of election, on the death of Alexander III., or of the Maid of Norway, is against their existence. The claim of the Earl of Fife to enthrone the king on the Stone of Destiny, or, in the case of Robert I., to place the crown on the king's head indicates, however, that some consent of that earl at least was requisite to confer the kingly authority, and the style he assumed, at least occasionally, in his early charters— ‘By the grace of God, Earl of Fife*—indicates that he did not acknowledge that he held his earldom from the king merely. The Seven Earls mentioned in 1296 are the Earls of Buchan, Monteith, Strathern, Lennox, Ross, Athol, and Mar.1 The Earl of Fife and the Earl of Sutherland are not among the number. But it must be remembered that the earliest holder of the earldom of Sutherland known to these same records is not a Celtic earl. The enhancement of the royal power and the subordination of the Celtic earls were gradual; and during the process—and aiding it perhaps—there appeared in Scotland the beginnings of a nobility of an essentially different system—the Norman system of feus, charters, and subordination. Scotland suffered no Norman conquest, but it shared in a Saxon, Danish, and Norman invasion. Immigrant houses were planted on the waste places left by the wars of Malcolm; and the immigrants, or many of them, seem to have become magnates immediately in the land of their adoption, whatever their condition was before. The invasion was only partial, however, and the existing population was neither extirpated nor enthralled. Scotland was only in process of becoming a kingdom; and it was thus that there arose with a composite people a nobility of divers origins. Scot or Piet, Briton or Galwegian, Saxon, Dane, Norman or Fleming, when he accepted a charter of his lands, the king's vassal was for the future undistinguishable in respect of his origin, so far as the law was concerned. It was thus also that the kingdom was gradually formed in the framework of a Norman society. The king's councillors in time of peace and his captains in war were—saving so far as they were churchmen, and these were, after all, scarcely an exception— the great territorial lords, his tenants in chief. In the great feudal system of reciprocal service and protection of which a king was scarcely more than the first officer, the members of each rank were peers among themselves, and were the men of their immediate overlord, bound to follow him with their strength in the field in war and to attend his court—be it manor court or baron court—in time of peace; and the scale ascended till at its head came the king’s men—the barons1—par excellence, peers of the realm. Nothing save succession to the throne itself could enhance that quality or position of a peer of the realm, though within their order, the possession of the great offices of peace and war came in later times to regulate their relative rank or precedency. These offices were the general offices of High Steward, Great Constable, Marshal, etc., the several offices of Earls of particular portions of the country. Afterwards were added to these the—with us only titular—offices of Duke, a leader of the army; Marquis, a defender of the marches; and Viscount, the king’s officer in charge of a sheriffdom. The baron was himself in a manner-an officer. His barony in one aspect was his fee and reward for his. services. Failure in performing his feudal duty in peace or war did not entail questions of assessment of damages, but made him liable to forfeiture. And he could no more sell his barony without his overlord’s leave than a sentry may put a substitute into his post without the leave of his superior officer. But with the king’s leave the tenant in chief might sell his barony and his earldom too; and the purchaser become baron or earl in his stead, did homage for his fief, and received the oaths of his vassals, took his place in the court and council, and his stand in the battle. of Parliament. Yet the process by which the present theory of peerage came in place of the former, down at least to the date of the Union, was gradual and apparently unbroken. Though personal dignities were known in Scotland in the fifteenth century, strong traces of the ancient territorial theory remained till time of the union with England, as the practice of resignations and re-grants of honours at that date evinces. As early as the year 1427 James I. made an act for the release of the smaller barons from personal attendance in parliament, and to provide for their representation instead, but the act was from various causes a dead letter. Kings and parliaments moved several times at intervals with the same object, but it was not till the passing of the Act 1587, c. 120, that the object was achieved. The effect of the Act from our present point of view was that it separated the smaller barons from the greater. When the smaller barons came to be represented, instead of sitting in person, they ceased to be of the same class as the Lords of Parliament, who sat personally. And the barons who remained Lords of Parliament came to be held to be alone the nobles and the peers of the realm. The year 1587 therefore has been considered to be the date at which honours became, in the eye of the law, personal. Patents of peerage, scarcely if at all known before, began to be granted as the rule immediately afterwards. The Parliamentary proceedings for the ranking of the peers according to the antiquity of their honours naturally followed, and though conducted at a time when information and accuracy is not to be looked for, occasioned our earliest general enquiry into the peers’ genealogies. Since that date the student of history and of charters has had much to say, both in books and before courts and committees, about these genealogies; and few collections of pedigrees can be more varied in their contents than the collection of the pedigrees of the peers of Scotland. The Celtic earldom of Mar, says Riddell, is not merely now the oldest Scottish earldom by descent, but perhaps in many respects the most remarkable in the empire’; for while other lineages may be as long, if traced through unennobled ancestors, the Earls of Mar were earls ab initio, and never known under any other character.’ The origin of the earldom, says Lord Hailes, ‘is lost in its antiquity.' It is dated by some as before 1014 and an Earl of Mar appears certainly contemporary with some of the Maormars in the reign of Malcolm Canmore. To this most ancient class belonged the Celtic earls of Angus, Athol, Fife, and the Lords of the Isles. But of all of them none save Mar, and perhaps Carrick, which earldom is held by the King by inheritance through the Bruce, survive in the blood of the earls of the name to-day. To the same class in origin as Sutherland belong not only the great houses of Douglas and Moray, but those of the Baliols, Bruces, Comyns, Stewarts, and others, whose ancestries, whether Flemish, Saxon, or Norman, can be traced back to their introduction into Scotland. The Norman Conquest of England sent many Saxons and others into Scotland. Gospatrick, Earl of Northumberland (progenitor of the Earls of March and Dunbar), arriving at the court of Canmore with his comrade Maerleswegen, and bringing Margaret and Edgar Atheling, was an instance of this. There was a great inclination among the earlier genealogists to make every great family spring into position with an incident as romantic. But the Saxon and Norman knights who arrived in these days in more or less Celtic Scotland did not necessarily all arrive as adventurers or refugees. Malcolm Canmore held twelve manors in England under the Conqueror; and at a later date David, afterwards King David I., became Earl of Huntingdon (1136) and of Northumberland (1139), all in right of his wife Matilda, heiress of Waltheof. Malcolm the Maiden succeeded to the first of these earldoms (1157), and William the lion to the second (1152). Afterwards their brother David was Earl of Huntingdon and Cambridge. He was elected leader of the revolted English nobles (1174); but in spite of his turbulent career, his son John the Scot succeeded him in both earldoms. Through his mother, Maud, John inherited the earldom of Chester also. When, in 1237, he died childless, the representation of his father, Earl David, and ultimately that of the Royal House of Scotland, fell among his three sisters—(1) Margaret, grandmother of John Baliol the competitor and of Alianora, wire of the Black Comyn, Lord of Tynedale and Badenoch; (2) Isabella, mother of Robert the Bruce, the competitor; (3) Ada, grandmother of John, Earl of Hastings, the competitor. The lists of witnesses of King David’s charters are themselves evidences of the results of the Scottish possession of these southern earldoms: the surnames, Graham, Lindsay, Ramsay, for instance, which appear in them point to an important contingent in the King’s retinue from the earldom of Huntingdon. The wars of Wallace and Bruce arrested this peaceful inflow, and forced the incomers for the first time to choose their nationality. According to theory, the feudal lord who held fiefs in England and also in Scotland was bound, when the kings of these countries were at war with each other, to bring into the field the power of each fief, for the support of its own overlord, and to fight in person for the overlord to whom he had given his first oath of fealty. But Edward I., pretending to be overlord of both countries, passed forfeitures on all such feudal tenants who did not support his arms in person as well as in force; and Robert the Bruce meted the same measure to the lords of Scottish fiefs who fought for Edward. Many were the forfeitures on each side, not a few noble names disappeared then from Scottish history, and the conduct of a number of the barons, if we neglect the circumstances of the time, seems smirched with the unknightly stains of vacillation and tergiversation ; it is certainly not defensible, if indeed comprehensible, if we merely talk of a patriotism which they did not feel and do not advert to their territorial stake in both countries, as well as to their well-nigh incompatible oaths. The unfriendly relations which subsisted thereafter, almost continuously, between England and Scodand for so many generations isolated the Scottish nobles to a. great extent, not only from their equals in England, but also from those of other more distant countries, for in the constant state of war and intrigue which formed so much of Scottish history he who would keep his lands was better to garrison them himself. From time to time, however, exceptions to this state of isolation appear, now and then a crusader, here and there bands of noble knights at a foreign tournament, and some great name on the roll of the French armies which fought France and Scotland’s common foe. In 1424, Archibald, fourth Earl of Douglas, became Duke of Touraine in France. In 1549 the Regent Arran was created Duke of Chatelherault in France; also Alexander, Earl of Buchan, was Constable of France in the beginning of the fifteenth century. At a later day, James, Duke of Lennox in Scotland, who died in 1655, was a Grandee of Spain, and so on. . The armies of northern Europe, and the Archer Guard of the French kings contained not a few younger sons of Scottish nobles. Marquis of Hamilton, was made Earl of Cambridge in 1619; John Ramsay, Viscount Haddington, was made Earl of Holder-ness in 1620. Thomas, third Lord Bruce of Kinlos, first Earl of Elgin in 1633, became Lord Bruce of Whorlton in 1642, and his son, after his succession to the earldom of Elgin in 1663, was made Earl of Ailesbury in 1665. Other cases might be cited, such as those of the Earl of Forth, made Earl of Brentford in 1644, the Duke of Lauderdale, created Earl of Guildford in 1674, the second Duke of Argyle, created Earl of Greenwich, etc., as late as 1705. There were cases also in which an English peer was created a Scots peer. The Duke of Monmouth was created Duke of Buccleuch; George, Lord Home of Berwick, was made Earl of Dunbar in 1604. We may note, in passing, a class of creations by which the epoch between 1603 and 1707 is marked—creations of Scots peer9 out of English knights and others who had no territorial connection with Scotland—Sir Henry Cary was created Lord Falkland in 1620; Sir Thomas Fairfax, created Lord Fairfax of Cameron in 1627; Sir Thomas Osborne, afterwards (1694) Duke of Leeds, created Viscount Dunblain in 1673; Sir Richard Graham of Esk created Viscount Prestoun in 1681; and John Churchill, afterwards Duke of Marlborough, became a peer as Lord Churchill of Aymouth in 1682. The supposed design of these creations is said to have been detected in some additions to the Irish peerage made since the year 1800, namely, to give the grantee a ‘handle to his name'—and as little more as possible. One instance of a Scottish commoner who received English honours shortly after the Union of the Crowns may be mentioned on account of the reported peculiarities in the patent. It is the case of ‘ Mr. James Hay'. The King [James VI. and I.] no sooner came to London,’ writes Sir Anthony Weldon, ‘but notice was taken of a rising favourite, the first meteor of that nature appearing in our climate; as the king cast his eye upon him for affection so did all the courtiers to adore him; his name was Mr. James Hay.’ Sir Anthony’s description of him begins thus ungraciously, but concludes in eulogy. Still it remains that Hay’s first step in the peerage was the name and title of Lord Hay without a seat in Parliament and with a precedency only after English barons. His next step was his elevation to the full dignity of a baron of parliament with the title of Baron Hay or Sauley in 1615, but with the unprecedented omission of a solemn investiture— perhaps because he was a peer already. He was subsequently erected Viscount Doncaster and Earl of Carlisle. At the Union of 1707 the scene was changed again; the Scottish peer received treatment which was without either principle or prevision. In the eye of the general law he was declared to be a peer of the realm; at Court he was made to rank below all English peers of his degree, and within the House of Lords he was given only a right of representation, while all English peers were given seats in their own right. At the date of the Union, as we have seen, several Scots peers already held English dignities. Shortly after it—in 1708— the Duke of Queensberry was created Duke of Dover, and took his seat in the House of Lords. In 1709 the House of Lords resolved that no Scots peer who, since the Union, should have received a British peerage, should vote at elections of Scots Representative Peers. In 1711, when the Duke of Hamilton was created Duke of Brandon, the House of Lords resolved to take the patent into consideration before the Duke took his seat. It called in the English Judges, and heard the Duke by counsel. It then decided not to ask the opinion of the Judges; and resolved off-hand that ‘no patent of honour granted to any peer of Great Britain who was a peer of Scotland at the time of the Union can entitle such peer to sit and vote in Parliament, or to sit upon the trial of peers.' By these resolutions, added to the Treaty of Union, the Dukes of Hamilton and Queensberry were debarred from sitting in their own right, and also from all right of representation in either the Lords or Commons. The perfectly incompetent resolution of 1711 remained on the books of the House till 1782, when it was declared illegal by the unanimous voice of the Judges. It is said to have been invented by the political necessities of the ministry of the day, but it could never have lasted 70 years if it had not had the acquiescence of England behind it. While the resolution remained it was acted on so far as to refuse the second Duke of Queensberry a writ of summons as Duke of Dover, though his father had been admitted and had sat in two parliaments in respect of that title. But the House did not attempt to carry out its principles so far as to unseat a British peer because he inherited a Scots dignity. So the resolution was capable of being evaded at the cost of waiting a generation. The evasion was effected by creating the Scots peer’s son and heir a British peer in his father’s lifetime. On the death of the father the young British peer was in the position of inheriting a Scots peerage and no forfeiture ensued. To this position of the law or practice at the time is due a number of British titles held by Scottish peers. 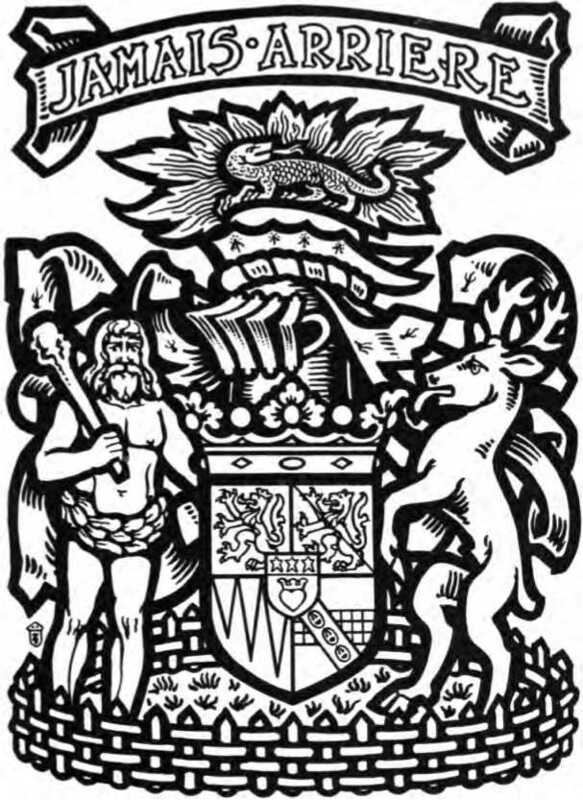 The ink was scarcely dry on the resolution of 1711 before the evasion of it was introduced; Viscount Dupplin, son and heir of the Earl of Kinnoull, was made Baron Hay of Pedwardine in the peerage of Great Britain. In 1719 he succeeded to his father’s earldom. In 1722 the son and heir of the Duke of Roxburgh was created Earl Kerr, and the son and heir of the Duke of Montrose was made Earl of Graham. In 1766 the Marquis of Lome, son and heir of the Duke of Argyle, was made Baron Sundridge. Under the law of 1711 the Earl of Bute, though capable of being* as he was, Prime Minister, was incapable of being made a member of the House in his own right! But his son, Lord Mount Stuart, not subject to the disability, was, in 1776, created Baron Cardiff of Cardiff.2 Since the removal of the offending resolution a number of other peers of Scotland have received peerages of Great Britain and or the United Kingdom, sometimes merely to give the grantee a hereditary seat in the legislature, and sometimes for the purpose of conferring on him a higher degree of peerage. Nearly two centuries have elapsed since the Roll of the Scottish peerage was closed. Time may thin its ranks, but no king since the Union has been advised that he may make good the blanks by new creations, or may even give a Scottish peer a higher degree on the Roll. Of the 164 titles on the Union Roll 62 are now held to be extinct or dormant. The remaining titles are in the hands of 88 peers, 51 of whom hold other peerages of Great Britain, or the United Kingdom. Whatever the Scottish peerage may have thought of its treatment at the Union, and of some of its early experiences at the hands of British Party Ministers and House of Lords, it cannot complain that its glory is departed. Whether in the recent rolls of the king’s ministries at home, of governors-general of India and the Colonies, or of officers in the Field Forces in the Soudan or South Africa, the Scots Peers and their sons have earned distinction for their order and their country. The student of institutions and national and racial tendencies will find questions, if he will, to answer in this latest chapter of the Scottish peerage— how much or how little in blood, education, interests or affection the old order is still Scottish. But in any case the present is not precisely the proper moment to catalogue and sum up the Scottish peerage as it has stood in history and stands to-day. For the accepted authorities,—the works of Crawford, Douglas and Wood, Fraser and the other writers of general and special genealogies of the peers, also the contents of the public records, and of private charter chests, in a fulness hitherto unknown,—are in the act of being thrown into the melting pot, and as yet only a sample as it were of the new minting has come out of the workmen’s hands. The works of the earlier peerage writers have, all of them, their special values. Each has at least added the facts of his own time. For this as well as for some earlier details, too full to be reproduced in any more modern work, these Peerages are of permanent value, and will never be entirely displaced from among the folios of the student of Scots family history. The patience and learning of their authors will for ever remain admirable. Since their day, however, the materials for such histories as they strove to write have by slow but steady process been extracted from the recesses of Record and Register Houses, Libraries, and Charter boxes; and the possibility of telling the full and true story of many a mystery of the past is before us. at its disposal, the modern methods of its compilation, the names of its editor and his staff, and of the specialists who contribute its several articles, the volume is worthy of the most respectful and particular attention. One of the features of the work which first attracts notice is the exemplifications of the armorial bearings of the houses which have held the titles of nobility in question. They are by the pencil of the official Herald-Painter of the Lyon Office. By the kind permission of the Publisher, several of the plates, contained in the first volume of the Peerage, illustrate this article. Their art and the extreme boldness of their execution are much more pleasantly and perfectly appreciated by a brief examination of the plates themselves than by much letterpress. The heraldry of the peers has given rise to some discussions and will to more; but one of the results of our fuller acquaintance with written records is the revival of respect for the facts of early heraldry. There are the garbs of Buchan, derived apparently from the same source as those of Chester. 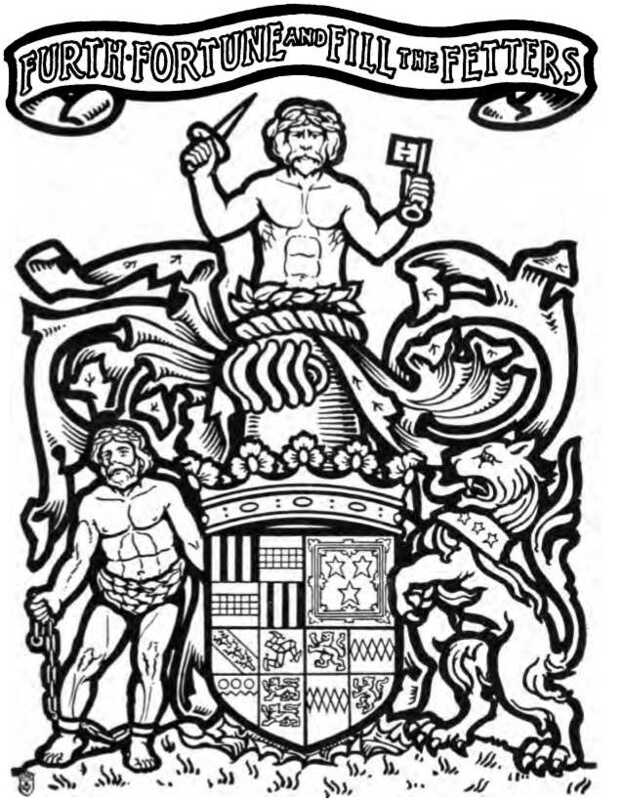 There are the lions of Bruce and FitzAlan, abandoned in Scotland for the territorialised chief and saltire of Annan, and the official chequers of the Steward. There are the three bars wavy of Drummond, said by some to represent the three rivers of the Drummond country, but thought in another quarter to have come perhaps from abroad with the legend of the Drummonds* foreign origin. If the Campbells are Normans, are their well-known arms—gyronny of eight—anything other than the four limbs and four spaces of a cross, such as a Norman might have drawn? Does the sable chief in the coat of the Grahams allude to the earthen wall which the mythical first Graham surmounted? 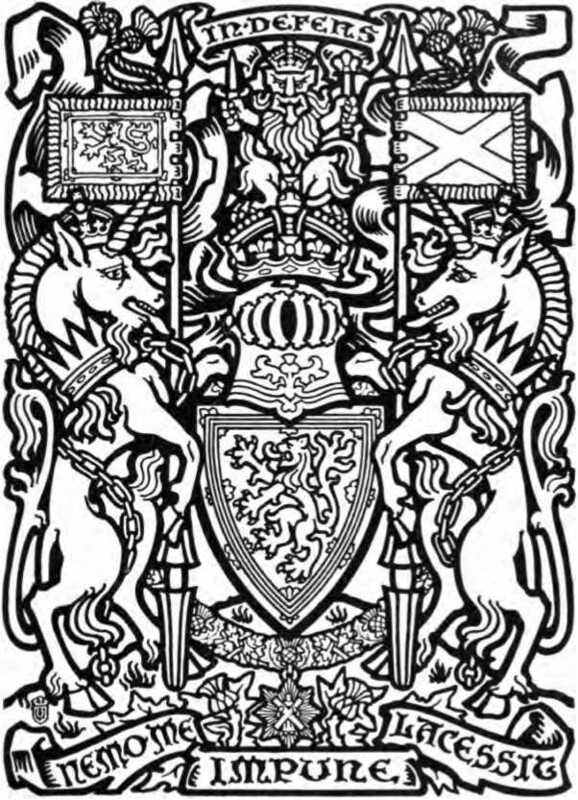 Can we found any argument concerning the derivation of a stock from its bearing on its shield a lion rampant? Can we group the families which carry boar, bear, or wolf heads? These are not propounded here as merely heraldic problems; none of these are idle to the genealogist. Heraldry and genealogy are indispensable to each other; and now and in the future they will be found once more walking together hand in hand.